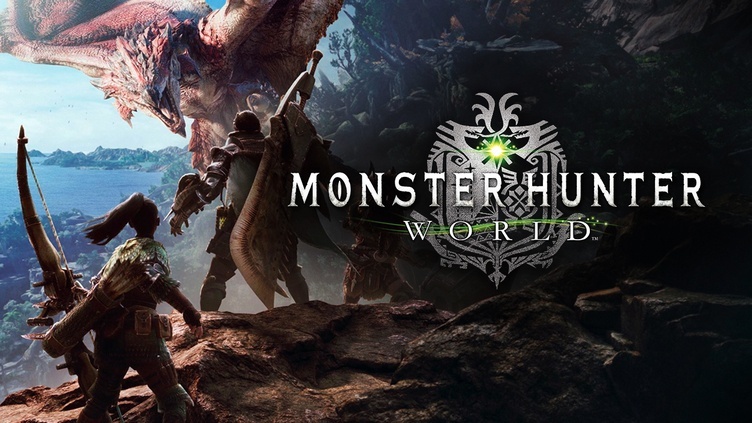 Monster Hunter: World is an open-world action role-playing game, where the players take the role as the Hunter character who travels to the “New World”, a land filled with monsters and join the Research Commission which study the land from their central command base of Astera. The Research Commission tasks the Hunter to hunt down and either kill or capture large monsters that roam outside Astera to both protect the Commission and to study the monsters there. To complete the missions in Monster Hunter: World, you will need weapons. Currently, there are fourteen total weapon types in Monster Hunter World, each has various different purposes and functions on the battlefield. In this article, you can read on How To Use Weapons Properly And Unlock The High-Rank Weapons. Don’t forget that you can always upgrade these weapons at the Smithy in the hub area, and a vanilla weapon will nearly always become useless after a while. 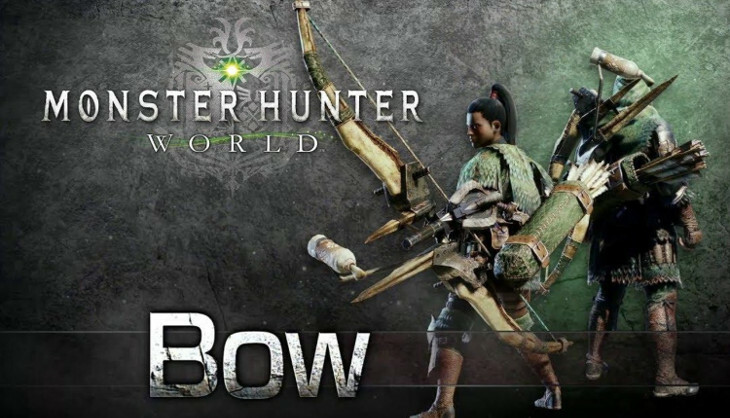 The Bow is your standard align attack weapon in Monster Hunter World, it might look weak, but Bow is one of the best align weapon in the game. This weapon is best for hunting everything you want. How to use the Bow properly? Hold down the left trigger to hit a specific part of a monster, or you can press Circle/B three times, to make your character release two volleys of arrows, then followed by a third attack which rains down gravel from the sky in an area, it will constantly damage any monster which underneath it. Press Triangle+Circle/Y+B to make your character charge up a powerful explosive arrow for a few seconds. Then release the arrow to a monster is bound to cause damage, and potentially stun the monster if you land a clean shot to their head. 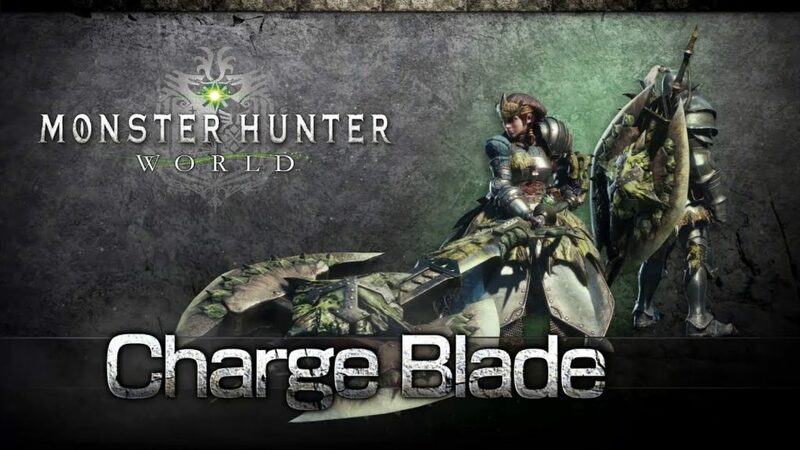 The powerful Charge Blade is best for hunting Great Jagras, Anjanath, and Radobaan. The heavy weapon form to unleash massive amounts of damage on a monster. Hold down the right trigger, and then press Triangle/Y or Y/B to launch the heavy form, sweeping attacks with the Charge Blade in its two-handed form. Press the right trigger to switch between forms, and you can hold down the left trigger while equipping the shield to protect yourself with it. 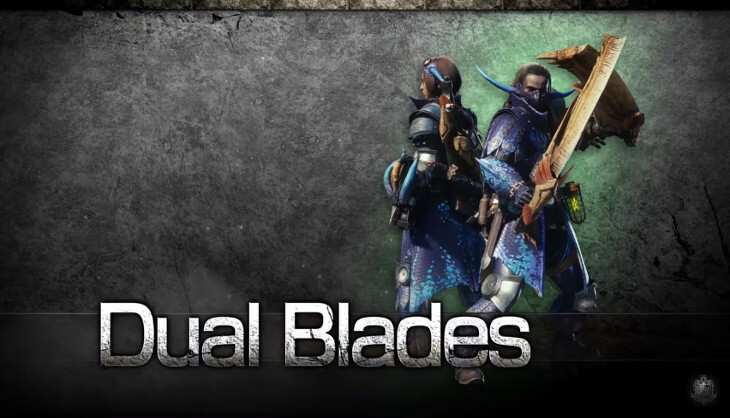 The Dual Blades are the quickest weapon type in Monster Hunter World, which allow the hunters to unleash an outbreak of attacks, while also move around the battlefield, and escaping the clutches of any monsters that you against. The weapon is best for hunting: Great Jagras, and Anjanath. The Dual Blades might not have any special transformation like other weapon types, but they can unleash special charged attacks if you’re able to build them up for long enough without being attacked. 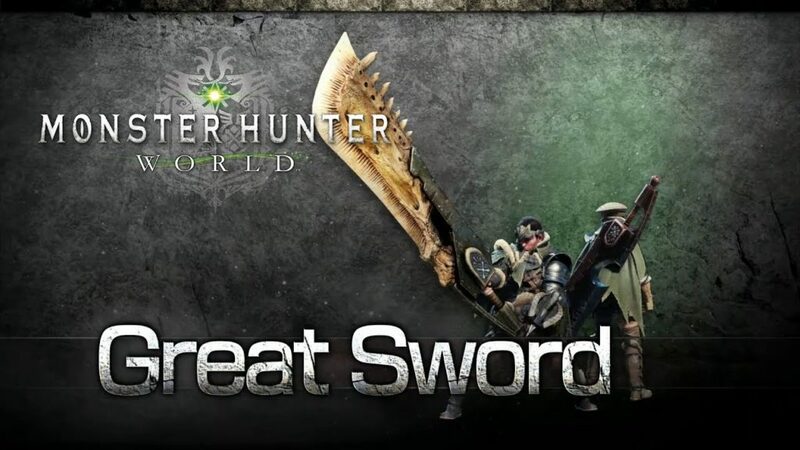 The Great Sword is the slowest weapon in Monster Hunter World, you can use it with a certain amount of caution against monsters out in the wild. You should really only use the Great Sword when you’re in an open environment against a monster with slow attacks, or when you’ve got at least one other player in your squad which able to distract the attention of the monster away from you, so you can land some heavy charged attacks with the Great Sword. This weapon is best for hunting: Great Jagras, Anjanath, Rathian, and any monsters that stay on the ground. The Gunlance is the first proper ‘trick’ weapon of Monster Hunter World, which can be used at close range to jab at a monster, or from a distance to barrage an enemy monster with multiple shells. You can use the shield to protect yourself in close quarters, jabbing away at the monster whenever you get an opening, or you can simply keep your distance from the monster with shells. 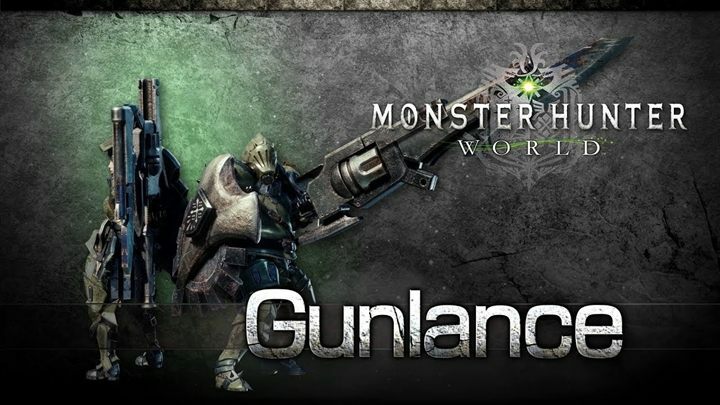 Since the Gunlance is a versatile weapon, it can be used to hunt a variety of monsters, and the weapon is best for hunting Great Jagras, Anjanath, Rathian, Radobaan. Use the Hammer to lay waste to even the most powerful of monsters, and make them stunned if you’re able to land a direct hit on their head. 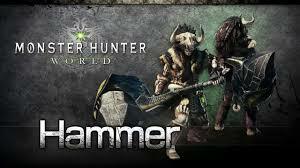 The Hammer can also be used for charged attacks, which is especially useful for stunning monsters if you’re fighting alongside with the other players. To use this weapon properly, you need to fight the monsters which stay in one place for a while, so it will give you the ability to build up attacks. The Hammer is best for hunting Great Jagras, Anjanath, and Rathian. You need to to keep your distance while fighting monsters with the Heavy Bowgun, as it doesn’t have a shield, or an effective close quarters attack. You can also prepare some specialized ammo while fighting monsters with the Heavy Bowgun, including ammo which can paralyze and put the enemy monster to sleep temporarily. 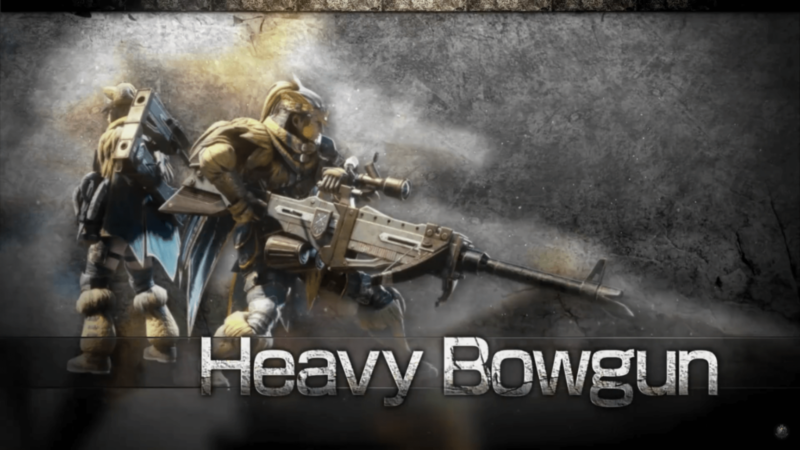 Since the Heavy Bowgun can be used from range to pelt monsters, it can be used to hunt on a variety of monsters like Great Jagras, Anjanath, Radobaan, including those that can fly like the Paolumu and the Rathian. 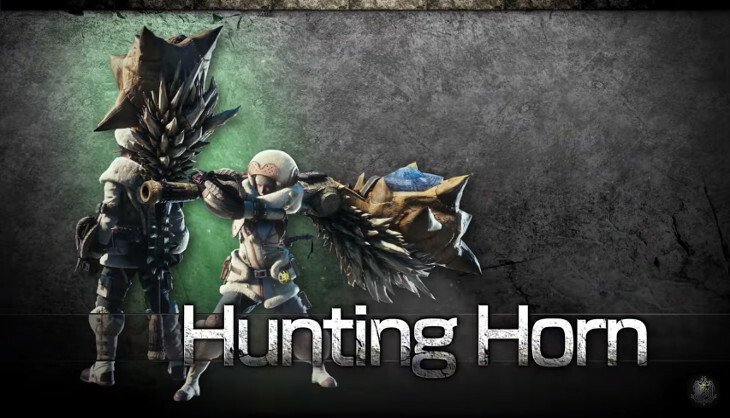 The Hunting Horn is primarily a support weapon with best used when you’ve got at least one other player with you. The weapon can also be used to increase the abilities of Scout Flies to find nearby items. This weapon is obviously best used when you’re with another player, who’s able to distract the attention of the monster and allow you to play melodies from the Hunting Horn. If you’re going to use the Hunting Horn while venturing out on your own, then you have to use it against slower moving monsters. The Hunting Horn is best for hunting Great Jagras, Rathian, and Radobaan. The Insect Glaive might be one of the harder weapons to use in Monster Hunter World, but it’s also one of the powerful weapon available to hunters. You can use the Insect Glaive to push yourself above monsters, then raining down attacks on them from all different angles. 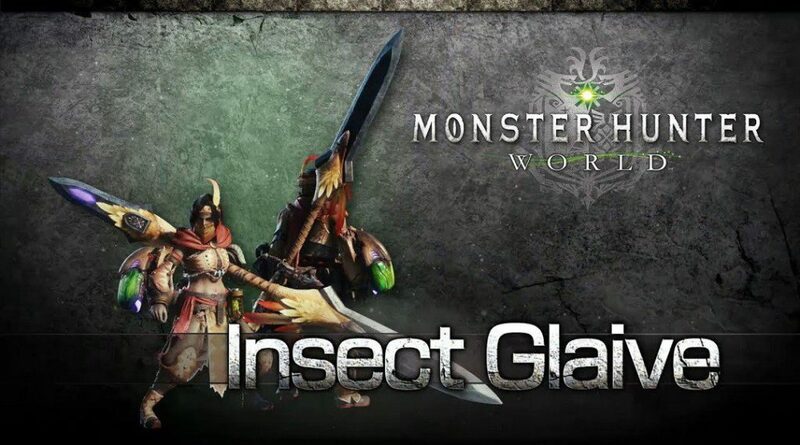 The weapon also comes with the added bonus of a Kinsect, which can be used to harvest extract from monsters, which steep the Insect Glaive weapon with certain bonuses for a limited amount of time. Since the Insect Glaive is a quick weapon, you can confidently use it against nearly any monster in Monster Hunter World. The weapon is best for hunting Great Jagras, Anjanath, Radobaan, Tobi-Kadachi. 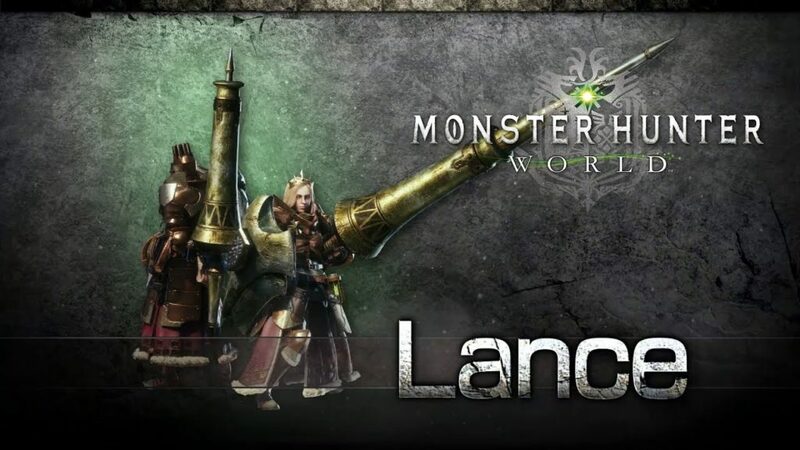 The Lance is one of the more conventional weapons in Monster Hunter World, which able to dig monsters from a decent range, while also coming with a shield that can be used to guard hunters against most attacks from monsters. The shield on the Lance comes with a special use in close quarters, allows you to move around with the shield and you won’t have to frequently dodge to move around the battlefield. The Lance has be effectively used against most beasts in Monster Hunter World, and it’s best for hunting Great Jagras, Anjanath, Rathian, Rathalos, and Tobi-Kadachi. 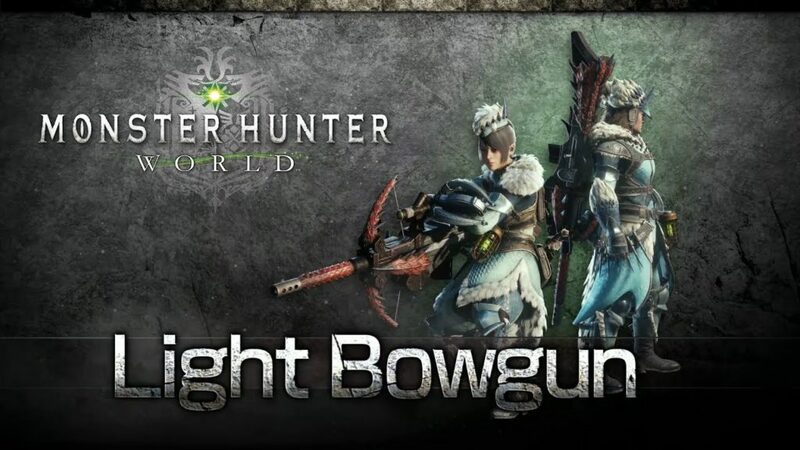 Like the name, the Light Bowgun is obviously the lighter counterpart, which allows the hunters to dodge out of the grasp of monsters, before unleashing a few quick volley attacks in their direction. You can use this weapon confidently for the most powerful of beasts in Monster Hunter World, especially when you’re going up against an enemy with one hunter at your side. Since the Light Bowgun is very energetic and rapid, it can be used by a hunter constantly on the move. It allows you so rapidly evade attacks, and then fire off a quick few rounds in the direction of the monster, all before reloading. The weapon is best for hunting Great Jagras, Anjanath, Radobaan, and Tobi-Kadachi. 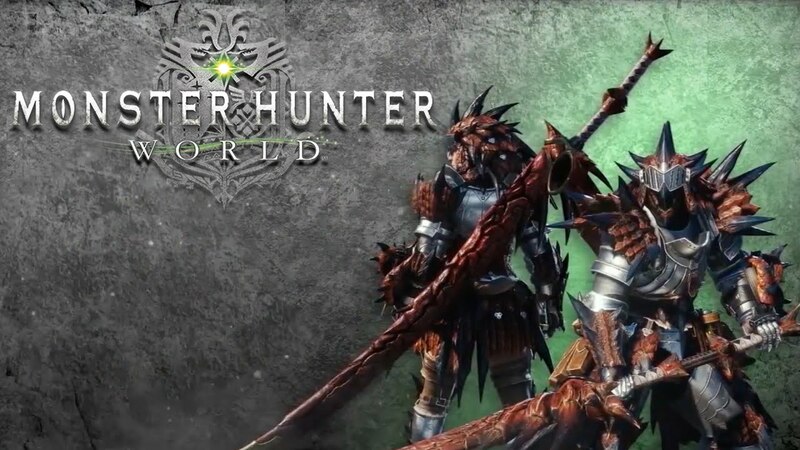 The Long Sword weapon is another energetic weapon in Monster Hunter World, which allows the hunters to land a quick few attacks on any monster. The weapon has the ability of extended reach, which will let you stay out of the clutches of most monsters. The Long Sword also has the ability of the Spirit Blade, which effectively buffs the weapon for a short amount of time. Used at exactly the right time, this weapon can be used to unleash some destructive attacks in fairly quick succession. 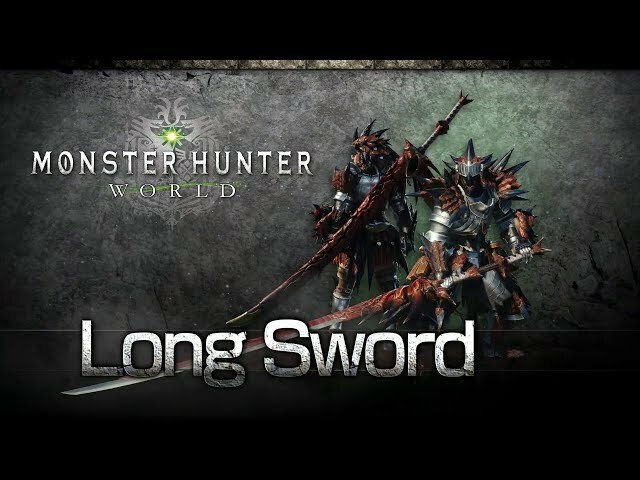 Since the Long Sword is such a slick weapon, you can use it to hunt most monsters in Monster Hunter World, and it’s best for hunting Great Jagras, Anjanath, Rathian, and Tobi-Kadachi. The Switch Axe will able you to switch between a one-handed weapon with a shield, and a single large axe. The weapon has extended reach while in its bigger form, allowing you to reach in and take a swipe at monsters from safety. 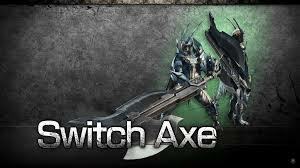 The Switch Axe also has the ability to charge itself up, if you can charge the weapon in its bigger form without being staggered, you can unleash a powerful attack to stun any monster. 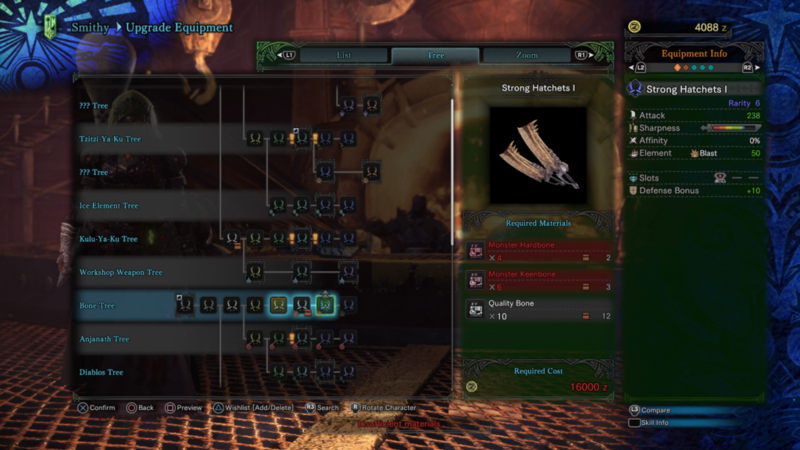 The Switch Axe is able to be used confidently against all types of monsters in Monster Hunter World. You can use the one-handed form to get up close and personal with a monster, and you can also back off and use the two-handed form against a flying monster whenever it touches down. The weapon is best for hunting Great Jagras, Anjanath, Ratholos, and Tobi-Kadachi. The Sword and Shield weapon is the most basic weapon in Monster Hunter: World. 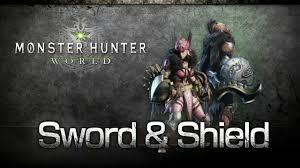 It’s a great weapon combination to start with, and it can also be used against basically any monster in the game, with the shield defending the hunter and the sword used for a few quick attacks whenever you get the opportunity. You can never go wrong against any monster with the Sword and Shield combination. If it’s a slower monster, you can dodge around it and defend against attacks with the shield, and for a quicker monster, you can still use the shield to protect yourself. The weapon is best for hunting everything in Monster Hunter: World. Now how to unlock these upgrades? First, you need to find out what the required materials are for crafting them, you will have to take down the Pink Rathian, in the story quest that follows after you successfully turn Zorah Magdaros back out to sea. Then you will gain the option to undertake High-Rank Expeditions and quests, which order you to defeat the powerful monsters like the Pink Rathian and Bazelgeuse. Only if you get into the 7 and 8 Star Assignments through defeating the Pink Rathian, then will you be able to make significant progress towards the best weapon upgrades in Monster Hunter World. Well, those are all the guides on How To Use Weapons Properly And Unlock High-Rank Weapons in Monster Hunter: World. Which weapon is your favorite one?